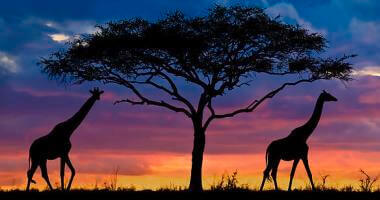 - Start with Cape Town and the winelands, then stay at two luxury safari lodges. The exclusive electronic travel folder containing guest itineraries, eTickets, maps, regional info & much more! Welcome to Cape Town! You will be met at the door of your aircraft with your name on a paging board and assisted through immigration, baggage collection and customs. Please note that an Immigration Fast Track Service is not available in Cape Town. You will then be shown to your awaiting transfer vehicle. Should your arrival aircraft be directed to the apron and not the terminal, you will be transported to the terminal by bus. As you step off the bus, your Meet and Greet will be waiting for you with the paging board. Situated between Robben Island and Table Mountain in the heart of Cape Town's working harbor, the V&A Waterfront has become one of South Africa's most visited destinations. Since 1988, the harbor is continually undergoing changes, with the redevelopment of land and the restoration of buildings surrounding the original Victoria & Alfred Basins, creating a mix of shopping and entertainment venues, intermingled with imaginative office locations, world-class hotels and luxury apartments in the residential marina. Aside from the myriad of shops, restaurants and bars, there is a more cultural side to the Waterfront, focused around the historic Clock Tower, which was the original Port Captain's Office in 1882 and part of a collection of well preserved turn of the century buildings. It is near here that the ferries depart for Robben Island (from the Nelson Mandela Gateway), while the Two Oceans Aquarium is a short walk from here. With ferries and boats continuously on the go, Cape Fur Seals playing in the harbor water, and a mix of both locals and international visitors, the Waterfront is a wonderful place to soak up some typical Cape Town vibe. Located on Quay 6 at Cape Town’s V & A Waterfront, the luxurious Table Bay Hotel is surrounded by the working harbor and world-renowned views of Table Mountain and the Atlantic Ocean. Combining Victorian grace and contemporary charm, 329 rooms and suites are elegantly decorated and provide 5 star quality and comfort. Relax and enjoy High Tea in the Colonial style glass-fronted lounge with its attractive mountain and harbor views. Sample award-winning Cape wines and savour the flavours of locally sourced seasonal ingredients in The Camissa Brasserie. The Table Bay has a heated pool and Jacuzzi, a fully-equipped gym and a spa which offers the best in pampering treatments. Please note: Please be advised that Table Bay is a non-smoking hotel. Should guests request a smoking room, a cleaning fee of R1000.00 (subject to change at any given time) will be levied. The tour commences with a tour of Table Mountain (weather permitting; cable car fee included). Enjoy panoramic views over the Mother City and the Atlantic Seaboard with Robben Island in the distance lying sleepily in Table Bay harbour. In the city itself, stop at the Company Gardens. Enjoy a walk through the garden and a visit to the South African Museum. This is followed by a visit to the Castle of Good Hope. Built between 1666 and 1679 by the Dutch East India Company (VOC) as a maritime replenishment station, the Castle of Good Hope is the oldest surviving colonial building in South Africa. The drive through the city centre would also take you past the Houses of Parliament, the Grand Parade and City Hall from where Nelson Mandela first addressed South Africans after his release in February 1990. Return to your hotel upon completion of the tour. The Table Mountain Aerial Cableway opened its doors to its first visitors on 4 October 1929. Since then, it has had many upgrades, bringing it to the point where it can safely welcome an average of 800 000 visitors each year. The round cable cars take about 5 – 10 minutes to carry 65 passengers from Tafelberg Road to the top of Table Mountain and they gently rotate, offering 360 degree views on the way. Please note: Please remember to have your tickets with you to gain access. The cableway is usually closed for annual maintenance from the last week of July to Mid August. Travel along the Atlantic Seaboard via Sea Point, Clifton and Camps Bay, to Hout Bay, a quaint village and fishing harbour with magnificent mountain views and beach. Continue via Chapman’s Peak, one of the world’s most breath-taking coastal drives, to the Cape of Good Hope Nature Reserve and Cape Point which is perceived to be the meeting point of the Atlantic and Indian Oceans. Go on to historic Simon’s Town, a village with charming Victorian architecture, a naval base and a large penguin colony at the beautiful Boulders Beach. Boulders Penguin Colony is home to a growing colony of the vulnerable African Penguin. Wooden walkways allow visitors to view the penguins in their natural habitat and there is also a new information centre. A lunch stop is made nearby (lunch included). End the day with a visit to the well-known Kirstenbosch National Botanical Gardens. The Garden includes five of South Africa’s six different biomes and is world-renowned for the beauty and diversity of the Cape Flora it displays as well as for the magnificence of its setting against the eastern slopes of Table Mountain. The tour ends at ± 17:30 with drop-off at your hotel. Value Adds: Includes 1 x bottled water per person per day. This delightful drive winds its way to the heart of the Cape Winelands, through superb mountain ranges, vineyards and Cape Dutch homesteads. Head off to the wine country via the N2 to the heart of South Africa's wine industry, Stellenbosch, boasting great beauty and culture that is steeped in South African history. Walk down the canal-lined avenues, in the shade of giant oak trees and beautifully preserved historic buildings. With the sheer vastness of wine estates on offer, we are truly spoilt for choice when we enjoy our first wine tasting of the day at the Waterford Estate or similar. Travel over the Helshoogte Pass to the town of Franschhoek, historically dating back to the 17th century when the French Huguenots arrived. Billed as the Gourmet Capital of South Africa, this charming town, in a most picturesque valley, retains a French Huguenot style. We enjoy a wine tasting before taking time to enjoy the fabled culinary skills of the Franschhoek chefs at one of the many award winning restaurants (lunch included in cost). Note: Alternative estates may be visited over weekends and public holidays. (CPT/HDS flight excluded from quoted costs). Upon arrival in Hoedspruit, you will be met by a representative, who will transfer you to Kings Camp. 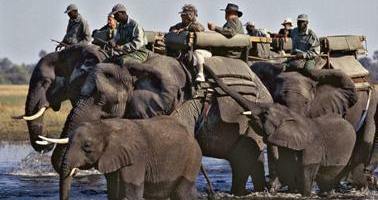 The Timbavati Private Game Reserve is 53 000 hectares of private land, adjoining the Kruger National Park. Since 1962, the Timbavati Association has been dedicated to conservation and this “Big Five” reserve is now characterised by strong lion, leopard and cheetah populations, as well as large herds of buffalo, wild dog and elephant. 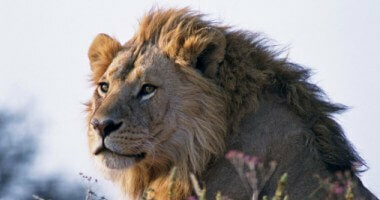 Timbavati is the birth place of the famous white lions, only known to occur in the Timbavati region. In 2006 a resident pride gave birth to two white cubs for the first time in many years. Kings Camp is an intimate camp in the Timbavati Private Game Reserve, and faces a waterhole and vast expanse of unfenced grassland. 9 stylishly luxurious suites (6 Luxury, 1 Family and 2 Honeymoon suites) feature graceful Victorian baths and private verandahs with bush views and hammocks. Each suite has in-room wifi. King’s has the appeal of a traditional hunting lodge from a bygone era, and the colonial elegance, dark wood and striking contrasts are evident throughout the thatched lodge. Lovely open-plan spaces extend out to gardens and a pool. The gym, boma and pamper spa ensure guests have everything they could ask for, whilst retaining the natural tranquillity of this pristine location. 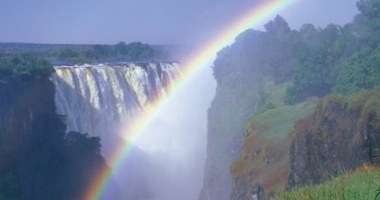 Includes: All meals, local brand drinks, two game drives per day and optional walking safaris. Festive Season Terms: All bookings over Christmas and New Year's Eve can only be secured once a 35% non refundable deposit has been paid. The Sabi Sand Reserve is a 65 000 hectare reserve, pioneered by the landowners in the 1950’s, when the internal fences were dropped and a shared environmental management programme was put in place. Today, many of these families are now third and fourth generation land owners, their legacy being the successful conservation of the highest density of big game in South Africa. Even though there is a 50km unfenced boundary with the Kruger National Park, the game in the Sabi Sands reserve is well habituated resulting in unforgettable close encounters and prolific sightings, particularly of the elusive leopard. The Sabi and the Sand Rivers run through the reserve, which add further dimension to the bio-diversity of this area. The oldest and largest private Big Five game reserve in South Africa comprising 13,300 hectare, Mala Mala Game Reserve is strategically sandwiched between the Sabi Sand Game Reserve and the Kruger National Park. Located on the western banks of the Sand River is the classic Mala Mala Main Camp, designed to appreciate and enjoy the view of the surrounding bush and wildlife. This oasis in the middle of the bushveld boasts 19 luxury thatched rooms and suites. Pathways wind their way around the perimeter of the camp to reveal the individual ochre units tucked into the greenery which flanks the Sand River. Classic and elegant the rooms and suites are spacious with en-suite his and hers bathrooms, air-conditioning, minibars and tea and coffee facilities. Family rooms accommodating two children are available on request. The impressive lounge (filled with relics from safari days of old),air-conditioned dining room and historic bar are conducive to sociable evenings. There is an air-conditioned library with satellite TV, DVD player and internet connectivity. The large wooden safari deck in the shade of a Jackalberry Tree overlooks the wildlife rich Sand River; there is an infinity pool, small gym, boutique gift shop, fully stocked wine cellar and massages on request (additional cost). Mala Mala Main Camp offers early morning and afternoon game drives with only six guests per vehicle. Nature walks are available on request. 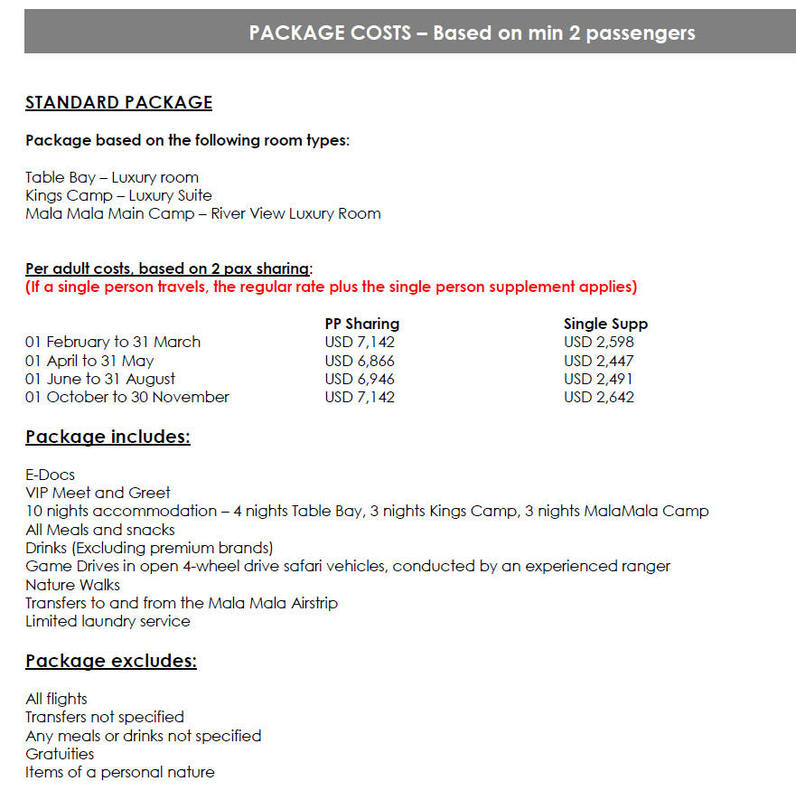 Includes: All meals, all drinks (excluding premium brands) snacks, safari activities and transfer to and from the MalaMala Game Reserve airstrip and limited laundry service. At a time to be advised you will be transferred to Skukuza Airport, to connect with your onward flight to Johannesburg, which arrives in time to connect with all international departure flights back to the USA.